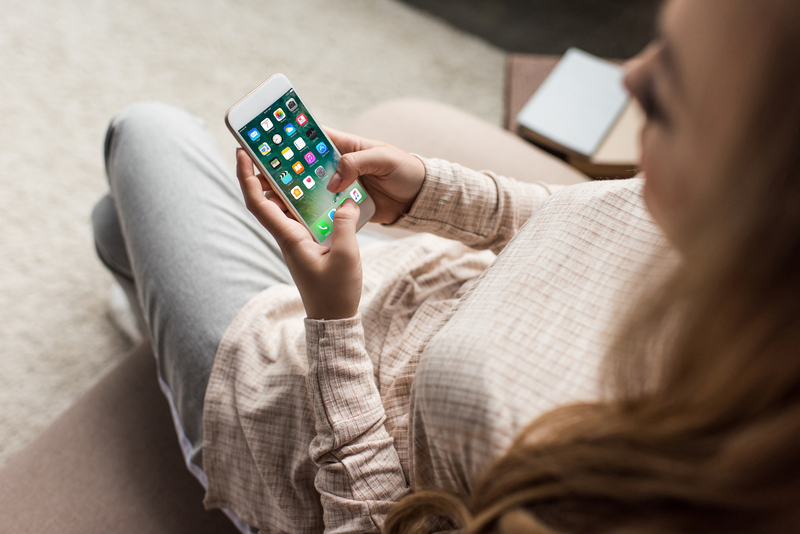 With so many gadgets and gizmos out there that claim to help you organize your home and life more easily, it is hard to know what will work best for you. I am no techy. Heck just ask my Hubs, or my kids, or even my dog! It drives Hubs crazy that I still insist on doing our finances on paper. So knowing this you might just find it surprising that my favorite organizational tool is a tech device. So, what is this mysterious favorite organizational tool? It’s something simple that I am pretty sure you have at least one of right this minute on you somewhere. I am talking about your smartphone. Wait now, hear me out. Like I mentioned above most of us own a smartphone or a cell phone. Whether it’s the latest and greatest on the market or a flip phone like one of my friends still owns, every single one of you will have this feature. It’s called the calendar feature and it’s been a game changer for me. I never used to use my calendar feature until about a year ago and I simply cannot tell you what a difference it has made in all areas of my life. As you go about your day things come up. Important things you know you must remember. But you are busy and as the day goes along those important things slip away from your mind never to be thought of again. This can be pretty disastrous especially if those important things are financial or even worse a family member’s birthday. Wouldn’t it be great if those random yet very important thoughts could be put down right away in writing along with a reminder to remember to look into it later? The answer to all your troubles is right under your nose….or should I say, next to your ear. 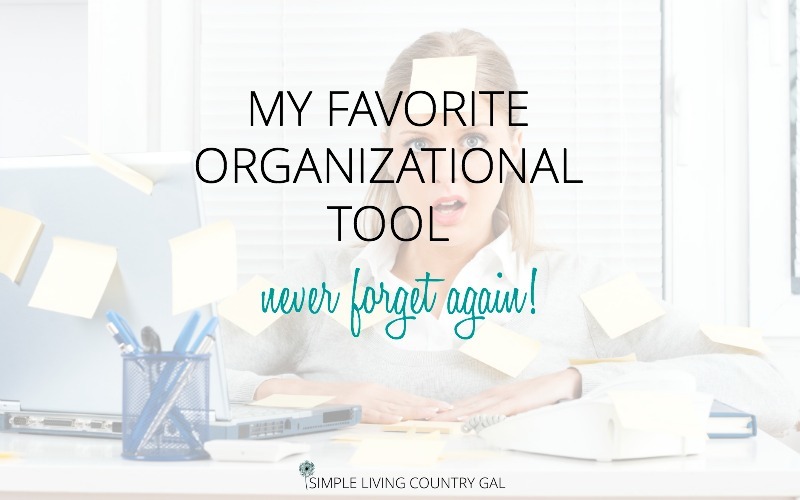 Let me give you an example of how this super simple tip with my favorite organizational tool was a huge game changer for me. I adore free trial offers and I will take advantage of them whenever I get the chance. Hey, who doesn’t love FREE! So a while back I jumped at the chance for a free trial of HBO for an entire month. Why yes, I would love some free TV, thank you very much….sign me up! I make a mental note to cancel before the trial runs out, but guess what. I forget and before I realize it I am paying for a service that was once free. One day I got the idea to put the deadline for my next trial offer on my cell phone calendar. I chose the day before the trial ran out so I had a bit of a buffer just in case. If I like the item I am trying out I will add that new charge to my budget if I don’t like it I will cancel the trial all together never incurring a charge. By using this super simple tip you will have a constant reminder for just about anything. Sure you can hand write it on your wall calendar or jot it down in your planner but that still requires you remember to look at that calendar to see the reminder. Birthdays and anniversaries – There is nothing I love more than getting a call from my family and friends on my Birthday. It is even better than any gift. By setting up a quick reminder you now can call your loved ones on their special day and give them a gift they will love. Library books – I love our library and I have a constant supply of books and movies in my home. What I don’t love is the late fees and let me just say they are crazy high now. While you are still in the library remove your phone and place a reminder for a few days before to make sure you get your books returned on time. Bill payments – If you are on a fixed budget having a reminder set so you do not forget to make a payment can be incredibly helpful. We have a few 0% interest credit cards and in the fine print it states that if you are late for even one payment you will forfeit your promo rate and your interest will now be a whopping 26%. I cannot tell you how many times this has happened to me. This incredibly costly mistake can be avoided just by setting a quick reminder on your phone giving you a gentle nudge to make that payment. Ninja tip: You can also take this one step further and set up an automatic payment online so that you know for sure you are not going to miss that payment. Appointments – I am sure you are already using your calendar for your appointments but if you are not you should be. The best tip I can give here is to set up your reminder for a day or two before to ensure you have time in your schedule to attend your appointment. Family reminders – My 20-year-old son lives on his own and is notorious for forgetting to pay his rent. I finally set up a reminder on my phone to give him a call and have him deliver that rent payment on time. Yes, I did say deliver. Out in the country, landlords tend to like payments in cash brought to their front doors. Ahhhh, gotta love living in the country! One tip I can give to you is that most calendars let you set an alarm when the time arrives. I love this feature! Simply choose a time that works best for the event you are reminding yourself to do. For example, my default time is 6 am. If I want to remind my son to pay his rent, 6 am just won’t work. I do not think my son has voluntarily woken up before noon his entire adult life. For him, I make sure that particular reminder is set to go off at 1 pm. When it does I immediately call my son and remind him that his rent is due. Usually, he has already paid his rent but in the beginning, it was touch and go. This simple tip kept me from stressing out about him and kept just a bit more chaos from my day. Another tip is only to use your phone calendar as a reminder service for those truly important things. If you get overly ambitious and enter every little thing into your phone, you will have reminders going off all day long. Save this tip for the most important things so you don’t become “tone deaf” and ignore those so important reminders. Have a monthly reminder you need to add in? There is this nifty little feature that allows you to repeat a reminder every single month. Just check the box “repeat monthly” and you are all set. When it comes to tips it tends to be the most simple that are the game changers. My favorite organizational tool is one of those tips. 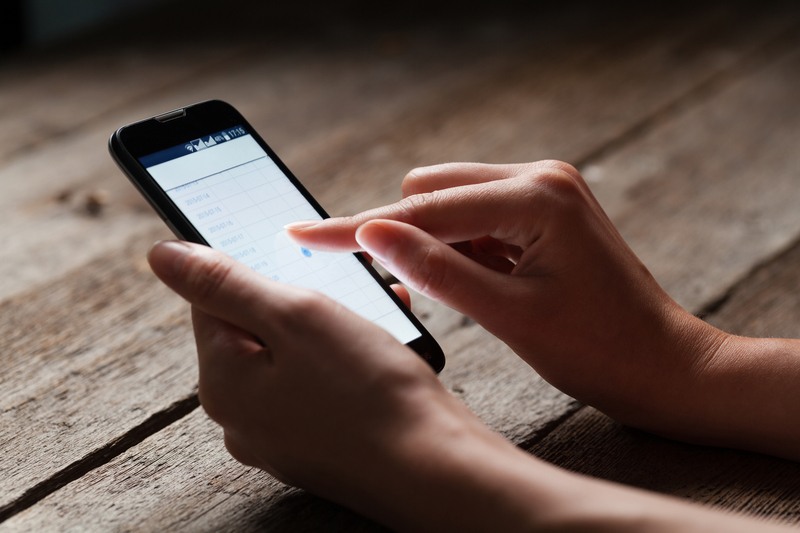 Rather than treating that smartphone as a link to Facebook and nothing more, use some of those features and turn it into a personal assistant. You will be amazed at how this little tip will help you remove just a bit more of the daily stress that can clutter up our minds and ruin our days. Give those important reminders to your new personal assistant and put your focus where it belongs…on your family.